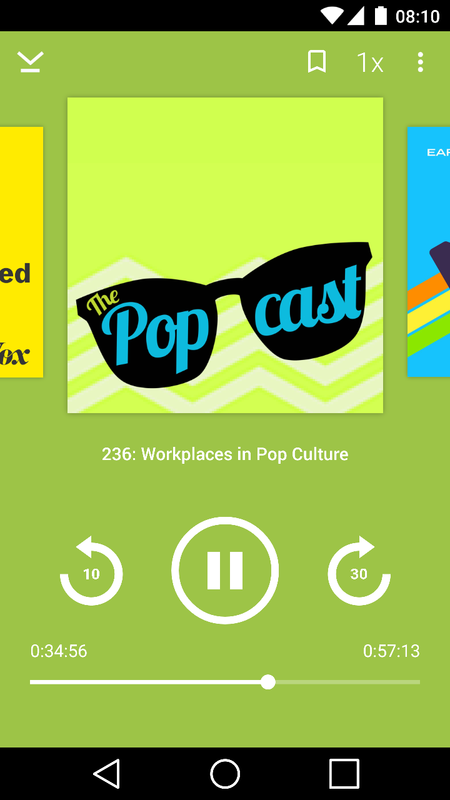 You spend hours a day playing podcasts … now you can unlock extra settings to fully control the experience. These settings will sync across your devices too, and even apply on the web app where appropriate. Set them once and once only. You don't have to reach for your phone anymore. 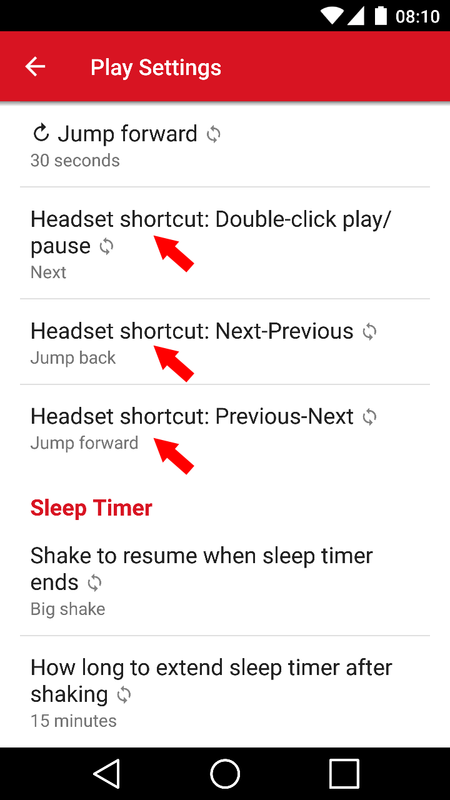 With advanced playback gestures, you can now set up your own shortcuts to control playback directly with your headset buttons. Make your own actions when double-clicking play button, hitting next-previous, and previous-next. Built-in headphone controls skip to next and previous track, but with podcasts, you often want to jump within the track too … now you can do both. 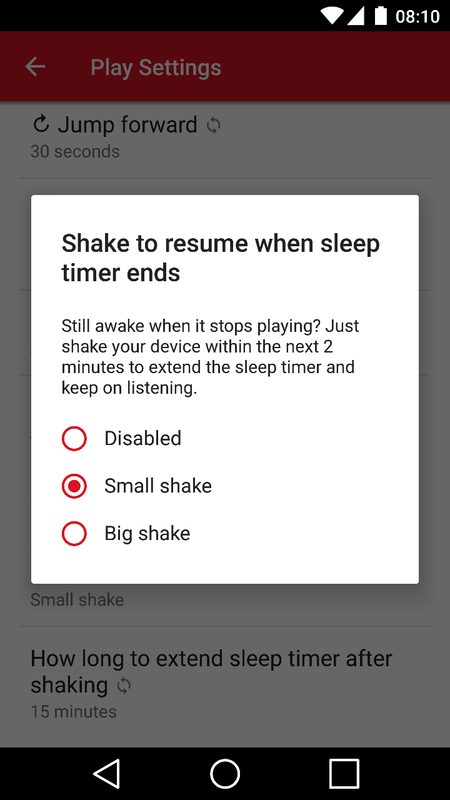 If you're already half-asleep and want to extend the timer without using too much energy, or worse, unlocking the phone again, just shake to extend! How is the sleep timer extended? When the sleep timer ends, playback stops. At this point, you'll have up to two minutes to shake your device in order to resume playback. How long will the sleep timer be extended for? That's up to you. You can choose the extension time in Playback Settings, defaulting to 15 minutes.